In complex businesses, situations arise when you need to liquidate some assets, sell off part of your company or auction the entire enterprise. In all these instances, you are required to avail relevant and accurate details of the assets in question to prospective buyers. What is Vendor Due Diligence? Vendor due diligence is the collective analyses undertaken by an impartial third party to avail accurate background, operational, financial and legal facts about the assets to be sold. Usually, the seller seeks and pays for the services of the involved third party that is, in most cases, a financial or legal consultancy entity. After completion of the process, the investigative third party presents the vendor due diligence report to the seller who then avails it to prospective buyers. The aim of vendor due diligence is to avail all requisite information to potential buyers so as to streamline the sale process. It also serves to demystify the underlying reasons for the sale and assure buyers of the sale’s legality and genuineness. What are the benefits of vendor due diligence? Vendor due diligence presents several boons to both seller and buyer parties. Below, we have outlined 6 of the most profound benefits sellers derive from vendor due diligence. In all business undertakings, buyers settle for the seller they feel safest with. Nobody wants to lose money to fraudulent sellers. Therefore, hiring the services of a reliable third party to conduct due diligence for you will go a long way to assure your potential buyers that your sales are genuine. Besides, prospective buyers will feel safer trusting an independent third party’s assessment of your property than relying on your (seller) analysis. A detailed evaluation of any business is an arduous undertaking that demands close scrutiny of financial, legal and operational aspects. 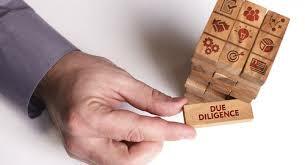 Vendor due diligence allows you the convenience of carrying on with your daily endeavours while another independent entity conducts the evaluation. Moreover, vendor due diligence allows you to punctually identify and adjust key aspects that may affect the deal thus increases your bargaining power. Conducting a detailed analysis of your property takes a substantial amount of time. Most would agree that in business circles, time is money. When a third party handles the due diligence, you are left with sufficient time to focus on other business deals to increase your profits. In addition, one vendor due diligence report could suffice for multiple prospective buyers thereby saving you valuable time that would have otherwise been wasted conducting due diligence for each interested buyer. Vendor due diligence could present cost savings to a company, particularly if the company does not have dedicated in-house due diligence expertise. This allows the company to leverage the expertise of a third party without disrupting its operations and diverting resources towards due diligence work. Furthermore, one vendor due diligence report can be presented to multiple prospective buyers. With vendor due diligence, the same report is presented to all prospective buyers. Essentially, this means you will have an upper hand in the sale bargains facilitating your selection of the best buyer.